Because Chekhov’s plays convey the universally recognizable, sometimes comic, sometimes dramatic, frustrations of decent people trying to make sense of their lives, they remain as fresh and vigorous as when they were written a century ago. 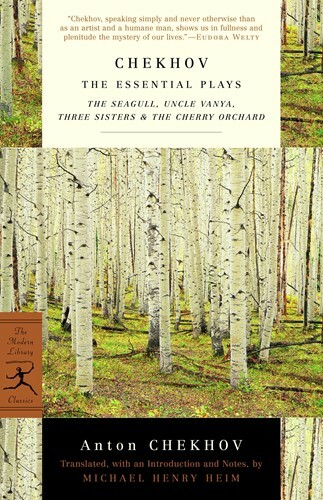 Gathered here in superb new renderings by one of the most highly regarded translators of our time—versions that have been staged throughout the United States, Canada, and Great Britain—are Chekhov’s four essential masterpieces for the theater. From the Trade Paperback edition.